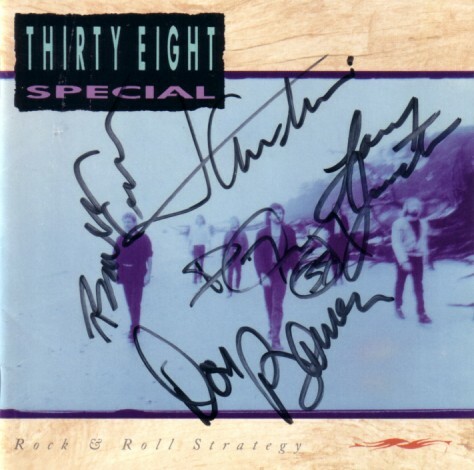 Rock & Roll Strategy 1988 CD booklet ONLY (CD not included) autographed in black marker by five members of this southern rock band: Don Barnes, Bobby Capps, Jeff Carlisi, Danny Chauncey and Larry Junstrom. Obtained in person. With certificate of authenticity from AutographsForSale.com. ONLY ONE AVAILABLE FOR SALE.